This series started off with a bang! I was instantly invested in the possible love interest of the stoic Maximilien Hess and the leading lady, Liana Cantacuzino. 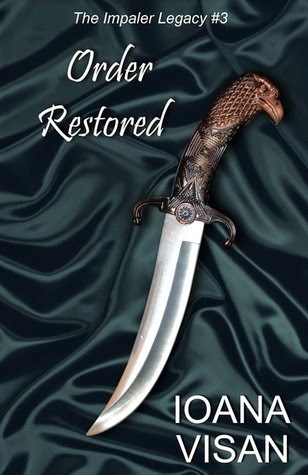 I was really hoping for more in this third book of the series, Order Restored. A new breed of vampires is being created that is superior to average vampires. The home base seems to be located in New Zealand, so Romania's Little Council member Liana travels there with her army of pandurs, along with Maximilien Hess, Dr. Jesse Carver, and Radu Basarab, to find their makers and to stop the production of these new and improved vampires. The job is very difficult because this enemy is vicious and always seems to be one step ahead of Liana and her crew. Liana has to lead her troops toward this seemingly unattainable task, and goes to any length to achieve her goal. The story lacked the passion I love to get swept away in. Still, Liana is a refreshingly strong female character, who never wavers in her strength and determination!